Order the fully WRAPPED CANDY BARS. We will do the work for you! 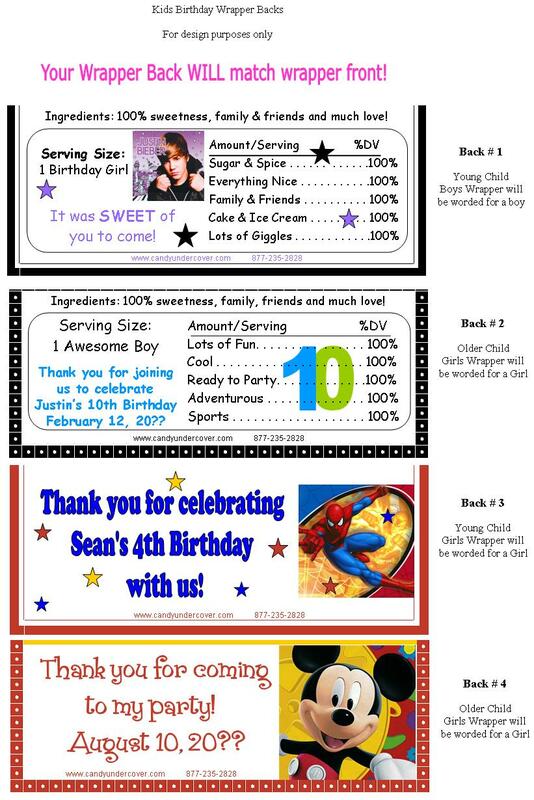 Your first Birthday Candy Bar Favors will arrive to you all ready to hand out to your guests.